Does Your Child Attend a Great School? How do you know if your child is attending a good school? When we began creating MasteryConnect, we wanted to address a much more complicated, and in our view, more meaningful set of questions. How do we know what each child knows and doesn’t know relative to the standards? How are teachers responding to students who don’t understand? MasteryConnect is an online solution that allows teachers to assess and monitor student performance relative to the standards and provides teachers with the ability to clearly communicate student progress to parents. After all, if your child attends an outstanding school and yet struggles to master the essential concepts and skills necessary to succeed in school, does it matter that your child’s school is labeled “outstanding”? National and local companies provide rankings for schools all over the country. One of our local newspapers uses end-of-level assessments to provide a ranking of each school in our state. 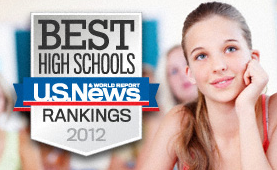 Based on these rankings, which of these three schools would you want your child to attend? School A is set in an aging, lower middle-class suburban neighborhood and serves roughly 500 K-6 students. The faculty is outstanding and has a solid mix of veterans and newly-minted teachers. The school has struggled with dwindling enrollment over the last few years as the children in the surrounding neighborhood have grown beyond their school years. Parents generally take an active role in supporting their children’s education and for the last twenty years the school has been home to a magnet program for the gifted. Roughly half of the students come from outside the schools boundaries to participate in the gifted program. The end result is a unique and diverse culture of amazing kids that make this school truly special. Would I send my own children to this school? Absolutely! School B is surrounded by low income housing units, apartments, a trailer park and modest single-family homes. Student transiency is a constant problem, as families confront a wide range of financial and social challenges. The school receives Title I funding, provides year-round breakfast for students and has an after school program. Approximately forty percent of students are learning English as a second language and most begin kindergarten well behind their peers at Schools A or C. Additionally, the school has provided specialized classrooms for children with autism and/or severe emotional or learning disabilities. You can also throw in a magnet Spanish dual immersion program that draws students from all over the district. Would I send my children to this school? I did. Both of my children attended school B and received an incredible education. They were given opportunities to excel as teachers differentiated instruction for all students. The teachers were some of the most committed teachers I have ever worked with: they were willing to do whatever it required to help all students succeed. The end-of-level scores could never quite reflect the incredible progress students made in School B or the dedication of its teachers, but I know for certain, that my own children were fortunate to have had the opportunity to attend such an amazing school. School C is set high up on the side of the mountain with an amazing view of the valley. The school is host to great teachers, incredibly supportive parents and amazing students who attend a thoroughly modern school. My tenure at this school was shortest but my experience there was amazing. I guess one could argue that scores in a school like this should be higher and I am certain they could be if the teachers would simply focus on teaching to the test. As it is, students are given many opportunities to excel in classrooms with dedicated teachers. Would I send my own children to this school? I did. My daughter loved her teachers and made many wonderful friends. She excelled in school and pushed me out the door every day because she was excited to get there. So what does one learn when they have the opportunity to serve as the principal of three very unique schools? For me, the lessons are many. I could say that all schools have their own unique challenges and yet the goals are the same. We all want to make sure that all students LEARN in an environment that empowers them, nurtures them, and ensures their safety. Schools depend on good teachers who feel supported by an administration that is empowered to lead. Ultimately, what I learned is that defining what makes a good school requires much more than a single test score or school ranking. Mastery-based learning. Formative assessment. Teacher collaboration. To the team here at MasteryConnect, these are the most exciting words in the world. We think about these concepts day and night. People ask us all the time what MasteryConnect is all about, and so we wanted to find a way to quickly share with educators how MasteryConnect works and what makes us tick. 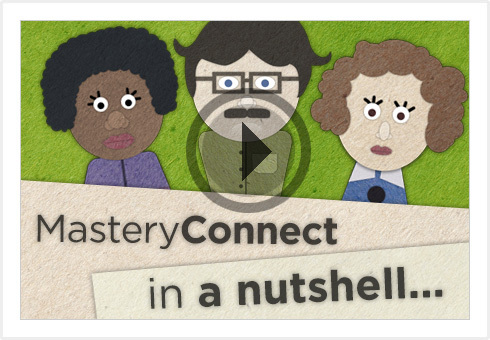 Last week we released a short, animated video that explains MasteryConnect “in a nutshell”. The video stars three teachers all working to collaborate around formative assessment and mastery learning. We think you might be able to relate! We’d love for you to check it out and tweet, like, or pin it! Since we began our partnership with Solution Tree, we have been on the conference circuit all summer. It’s been really exciting to meet with hard-working educators from all over the country and “talk shop” about PLCs. 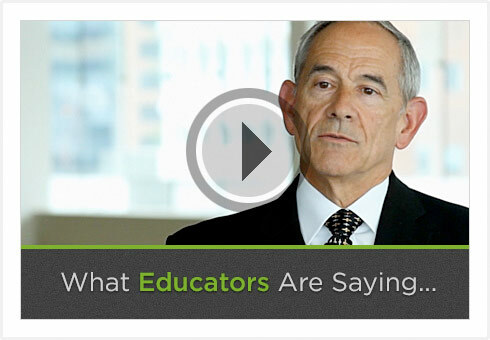 To keep the conversation going before, during, and after the conferences, we teamed up with some amazing educators and Dr. DuFour to create the video, What Educators Are Saying. This past week we released a feature that makes it easier to edit and update assessments in MasteryConnect. It’s now simple for teachers to make changes to an assessment they have created and have other teachers that are using the assessment be made aware of the changes. In addition, teachers using an assessment that was changed by the original creator will receive notifications and have the option to make the changes effective in their trackers. Check out the video below for a quick tour!